At some point, I’m not sure when, my managed WordPress on GoDaddy email stopped working. That means anyone who tried to contact me through the WordPress blog’s contact form would’ve wondered why I didn’t respond (since I didn’t get their message). Also, subscribers to my blog weren’t getting emails when I posted something new. I figured out that my WordPress blog wasn’t sending emails when I was re-working my contact form, or trying to, and found that it flat-out didn’t work. I’m sure it used to work. I tested it back when I first set it up. Since the Contact Form 7 plug-in no longer worked for sending emails, I tried the less powerful but still functional JetPack contact form. It wouldn’t send emails to me, either. However, the messages did show up under “Feedback,” so it was a good temporary workaround. 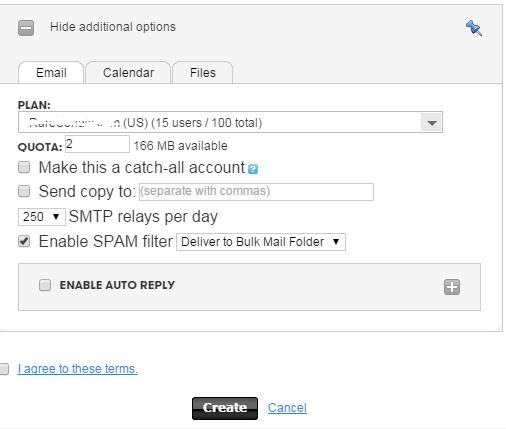 After doing some research, I decided to look into SMTP email plug-ins. First, I tried Postman SMTP. I’m sure it’s a great plug-in, but it didn’t make my emails go through. Next, I installed WP Mail Bank, a very simple to use mail plug-in for WordPress. SMTP still wouldn’t send emails. I did get it to partially work using the PHP mail option. However, the resulting email had weird formatting and displayed the HTML markup code, so it wasn’t an acceptable solution. I didn’t have a LivingWithBeth.com email address, so I was a bit stuck. 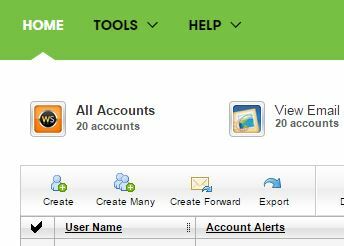 I logged into GoDaddy and found that GoDaddy email doesn’t come with a managed WordPress account. However, I was able to set up a LivingWithBeth.com email address from another domain that does have email on it. I’m not sure why it works this way, but it does. I set the email address up so that it forwards to the address I actually want to use. Armed with a new email address ending in LivingWithBeth.com, I made sure both of tne new SMTP plug-ins I’d tried were disabled and changed my email under my blog’s general settings to use the new address. Then, I tried the JetPack contact form, and it sent email as it should. 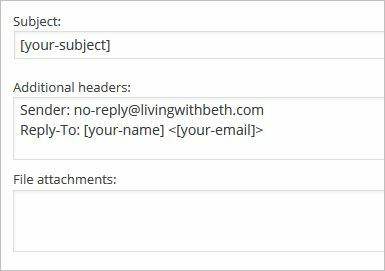 I changed my forms in Contact Form 7 so that the TO and FROM both have the new LivingWithBeth.com email address, and set the reply-to header as the sender of the message. I tested all of my forms, and they worked. 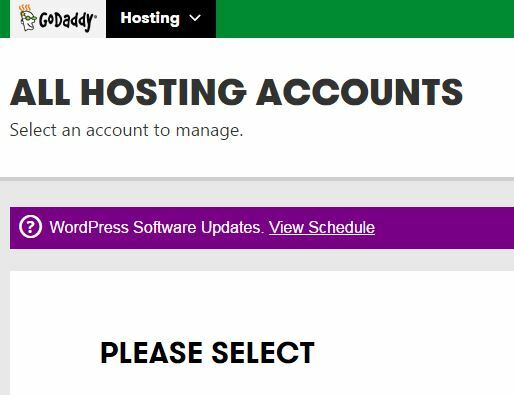 If you only subscribe to managed WordPress and don’t have GoDaddy email available on another hosted domain, you may be out of luck. 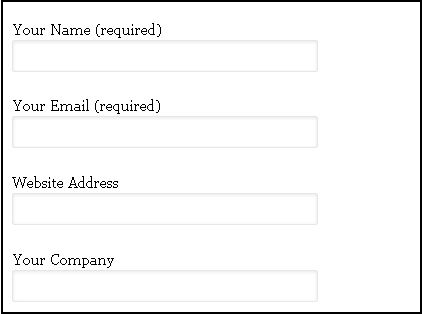 I don’t see any option to set up a GoDaddy email address using just a managed WordPress account. 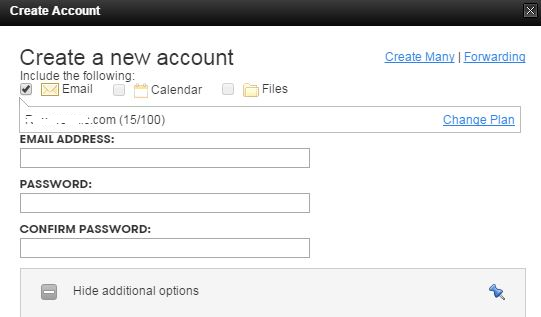 Again, I was able to set up an email address using my WordPress blog’s domain (LivingWithBeth.com), but I had to use one of the available email accounts from another hosted domain that came with email. 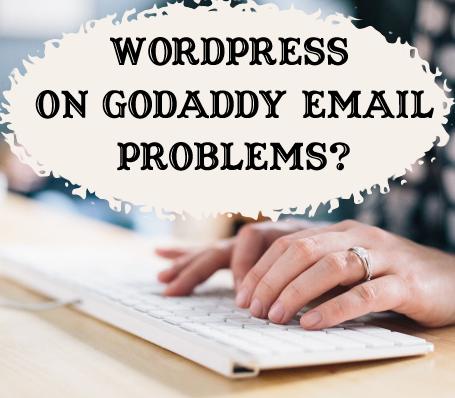 Based on my own trial, error and research, I don’t think you’ll get email to work on your managed WordPress blog through GoDaddy without setting up a GoDaddy email address. Using an email plug-in can’t get around the problem. If you don’t have a GoDaddy email option, I don’t know if you can just use any GoDaddy email address, even one from someone else’s GoDaddy account. It may be worth a try, though, to have a friend set you up a GoDaddy email address with one of her domains and have the messages forwarded to whatever email address you normally use. What have been your most confounding technical problems with your blog? How did you resolve them?